This is the exact kind of person that probably also has a Chinese character tattoo that is supposed to mean strength and probably means ” dumb fraternity member”. 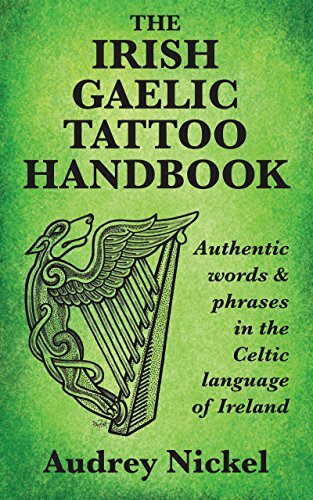 Hello, a chairde, I’ll leave a few thoughts on why it is a ‘duine gorm’ in Irish and Scottish Gaelic, rather than a ‘duine dubh’, when we would say a ‘black person’ in English. Please note that some of what I’m about to write may not seem ‘PC’ in the modern-day world, but I’m willing to write what I’m about to write in order to convey some information on a point where the Gaelic-speaking world takes a different view to the English-speaking world. No ‘haters’, please: this is cultural information that is not often shared, which is why I’m doing it. As this is a site dedicated to Irish Gaelic, I hope that it will be taken in context and seen as such. As others have mentioned, when you put a colour after a person’s name in Gaelic, that is understood primarily as referring to the colour of that person’s hair, rather than of their skin. Hence, ‘Coinneach Dubh’ is Black Kenneth, meaning black-haired Kenneth, rather than black-skinned. There is a very long tradition in Gaelic of referring to people with black or very dark hair as ‘dubh’, but, as mentioned, this refers to the colour of the hair, not of the skin. A possible exception to this is in ‘Am Fear Dubh’, which, as others have again mentioned, is one of the ways of referring to the Devil in Gaelic: he is literally ‘The Black Man’ (or, perhaps more accurately in this context, ‘The Black One’). Whereas the Devil of popular English-speaking imagination is associated (at least nowadays) with the colour red, in Gaelic he is associated with the colour black. However, it is clear from the context that what is meant by ‘black’ here is literally ‘coal black’ or ‘jet black’. It does not refer to the ‘black’ of the skin tone of people of African or Afro-Caribbean origin. On this point, the skin tone of people of African or Afro-Caribbean origin is called ‘gorm’ in Gaelic because that is the colour that Gaels associate with the reflection from a dark surface. ‘Blue’ may not be the best translation for ‘gorm’ here, but that is how the skin tone of people of African or Afro-Caribbean is perceived in Gaelic: as the owner of this blog wisely writes, ‘languages are not codes for each other’, and so it’s necessary to understand on Gaelic terms why the people whom English calls ‘black’ are called ‘gorm’ in Gaelic, when it seems nonsensical to call them ‘blue’ in English. The explanation for ‘gorm’ here is that, sometimes, Gaelic looks beyond the basic surface colour to the underlying or reflected colour (another example of this is ‘liath’ for the iridescence of oil on water), and applies the relevant colour accordingly. This happens not only with the skin tone of people (using ‘gorm’ for ‘black’ people), but also with the colour of the fur of certain animals. For example, what is called a ‘black-faced sheep’ in English is also called ‘gorm’ in Gaelic. Indeed, if you look carefully at the fur of a black-faced sheep (or, more obviously, pedigree black cattle that has just been groomed for show), you will see a bluish iridescence there, and that is what Gaelic is ‘getting at’ when it uses the word ‘gorm’ here. Please remember that, in the Gaelic world, most of the words relating to colour come from the natural world and, given the importance of agriculture to traditional Gaelic society, a lot of these words refer to subtle hues of skin, hide, hair and fur that are much more nuanced than anything that we have in English. Basically, something that is dark and gives off a sheen when the light reflects off it is called ‘gorm’ in Gaelic, and that is why we say ‘gorm’ in this context, rather than ‘dubh’. The whole premis of your article is wrong. “Blue lives matter “ did not come about in opposition to “black lives matter”. It was in response to an increase in shootings of police officers(Dallas as one exampl). The other mistake is your assumption that black or people of color are disproportionately shot by police ( factually inaccurate). The fact is more whites are shot by police than people of color. Your point would be valid if the the phrase was “blue lives matter black lives don’t” but it’s not. The people who support “Blue Lives Matter” are just saying Blue lives matter too. I guess you were too lazy to do the math. That Article proves my point it’s per capita so do the math. It also doesn’t account for the police interactions with each race. The majority of those deaths by African-Americans would not have happened if they would have just complied with the police officer. Nobody signs up with the job agreeing that it’s OK if they get killed while performing it. Police offices know the profession is dangerous but nobody signs up to be killed. No one ever said black lives don’t matter. Saying that blue lives matter doesn’t mean that black lives dont. That’s your assumption. This is absurd libel. You won’t “boor” (or bore, even) us with numerous articles because no reputable articles attesting to your claim exist. You will find no official proclamations on any BLM website or by any authorized member of BLM anywhere. It is a civil rights and activist organization. There is an undeniable systemic racist bias against black people among American police, and indeed among all American institutions, not to mention society in general. Most regular folks cannot however murder black people with impunity. Literally even one of your assertions is false. Blue Lives Matter (founded in December 2014) unequivocally and uncontroversially arose in response to Black Lives Matter (founded in July 2013), despite the spurious equivocation of the former with the latter (police officers are members of a profession, not a race). There has been no nationwide increase in shootings of police officers. In fact 2017 was the second-safest year to be a cop since the Eisenhower administration (https://news.vice.com/en_us/article/wjpjyq/cops-in-the-us-just-had-their-second-safest-year-since-1959), and being a police officer isn’t an especially dangerous job in any year. Far more black men are killed than white men by police per capita in the US, and this has been the case for as long as records exist (https://www.washingtonpost.com/news/post-nation/wp/2016/07/11/arent-more-white-people-than-black-people-killed-by-police-yes-but-no/?utm_term=.f50b2e80a6af). Black Lives Matter itself arose to counter the dominant message that they do not matter in American society (reflected in innumerable statistics and metrics, notably but not exclusively in terms of police violence). The idea that there is any kind of systemic bias in housing, jobs, income, imprisonment, or any other comparable measure against police officers as a group is absurd. This is both obviously false and libelous, but it is also illustrative of a particular mindset: do you what we tell you, or we’ll kill you. There’s a word for that: terrorism. You are telling lies. Please don’t tell lies. “Blue lives matter” and “All lives matter” started after Black Lives Matter explicitly and loudly as a way of diluting the message of that very necessary movement and as a way of showing solidarity with the police who kill Black people and to deny the extraordinarily high rate with which American police kill Black people without consequence. The motivation to oppose such a group? Perhaps the murder of FIVE Texas Policemen at a black lives matter protest. It might also be the “what do we want dead Cops” chants. Or It could be NYPD officer Ramos and Liu who were killed by a BLM activist. Liu came to the states with his mother. They had to go with a translator down to the laundry that she worked at to tell her that her son was dead. yea the whole translation thing I do not get either. I came here with my parents from Galway. My Blue Lives Matter shirt is in English. Never happened, and you will not be able to establish an iota of evidence to the contrary. Neither Micah Xavier Johnson nor Ismaaiyl Abdullah Brinsley had any known links to BLM (BLM in fact condemned the Dallas shootings), despite dubious allegations made by various public officials (some later retracted) in the wake of the two incidents. The claim that BLM activists call for dead cops is common online but has never been supported by any evidence. I’ve been to BLM events and no one there called for violence of any kind. It’s not like BLM doesn’t have websites you can visit or books you can read if you want to know what it believes. As an American Sign Language interpreter living in Ireland at the moment, I took great delight in reading this article. Predictably, the comments are being derailed by those who wish to maintain the cis white male status quo (there is so much mansplaining happening). I prefer to revel in the deliciousness of what you’ve explored from start to finish. There are so many issues you mention that plague ASL as well (no, it is not “English on the hands”) and you do a brilliant job of exploring some of the issues that come from amateur language users attempting to force a translation without even the beginnings of an understanding. Thank you for this contribution. I’ll be sharing it widely. He’s wearing a cellphone holster so he’s an automatic douche. Then add the shirt and we have a mega-douche. Not sure why wearing a cell phone holster makes one a douche (if it does, then I’m a douche), but the shirt certainly is problematic on many levels. Next Next post: Get Your Irish on in San Francisco!